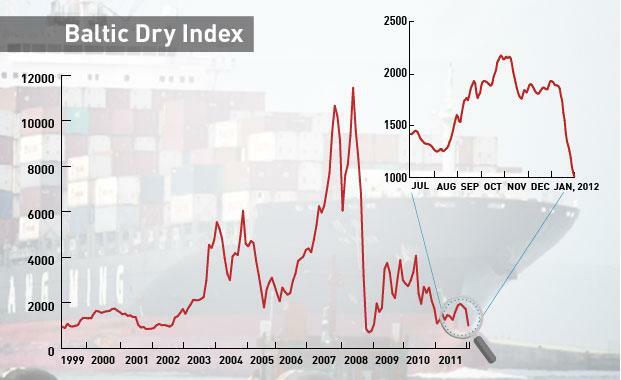 The Baltic Dry Index tracks the cost of shipping major raw materials (iron ore, coal, grain, cement, copper, sand and gravel, fertilizer and even plastic granules). Or, more simply, it tracks the precursors of economic output. As such, the Index provides a measurement of the volume of global trade at the earliest possible stage. 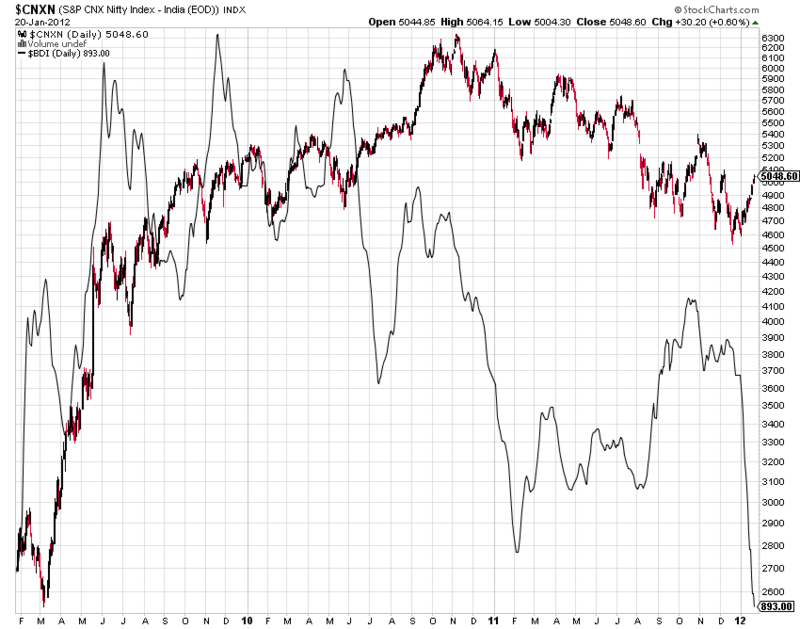 The Index is down 48.4% in the last month, and 54.4% in the last three months. Whether this is seasonal output differences or weather impacts, it seems clear that lower steel output in China and a decline in European imports is having its impact on global trade. The index has fallen for 19 days in a row, down almost 50%, its largest drop since the harrowing period of Q4 2008.
ya you are very much true . A good eyeopener the rise in commodity is not actaully due to supply & demand forces but something else. The falls in prices following unrealistic atmosphere will be worth watching.